With the elegant design and scrupulously crafted audio technology of the Dream Box bookshelf speakers, space considerations need no longer stand in the way of a top notch audio experience. This is a top of the line bookshelf speaker system that fits easily into the smallest of studio apartments and offices, yet can effortlessly crank out the loftiest heights of crisp, clean sound. Live with more beautiful sound than you ever thought possible. These beautiful, shiny black speakers pack a helluva bang for your buck. 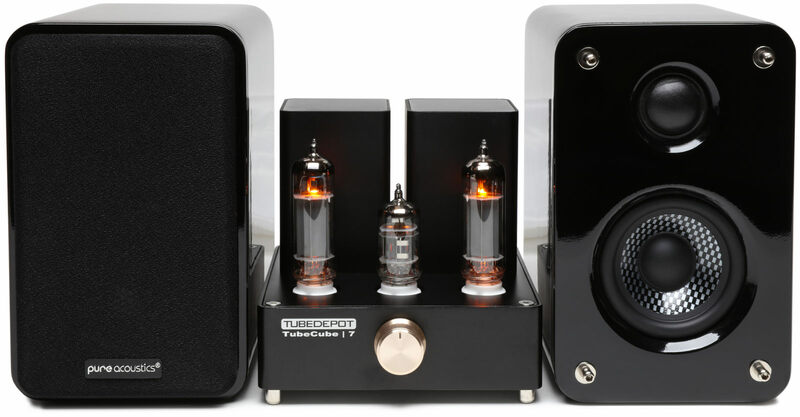 The perfect pairing with the TubeCube | 7, these speakers deliver an unequivocally awesome musical performance every time you turn your amplifier on.